Film director Lars von Trier has admitted that he will be unable to make more films because he is receiving treatment for drug and alcohol addiction and, as a result, does not feel creative enough. The 58-year old director of Nymphomaniac said that he attends AA meetings every day and is now sober. However, he is worried that, because of his sobriety, he will not be able to do his job properly. 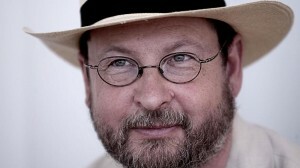 Von Trier has admitted that all of his screenplays were written while under the influence of alcohol or drugs. He said that before getting help for his addiction he would regularly drink a bottle of vodka each day. His films are known for their hard hitting topics and although he wrote Dogville while under the influence of narcotics in just 12 days, he said it took him almost 18 months to complete the screenplay for his two volume epic Nymphomaniac as he was sober at the time. Many addicts look for reasons why they should keep using their drug of choice. Unless they can really stop and see the damage they are actually doing to themselves and their loved ones, they are unlikely to want to stop. Addicts can come up with many excuses, especially after beginning treatment, and, as many find treatment tough at this stage in the treatment process, they give up and go back to their old lives of oblivion. The truth is that addiction can cause the mind and body to create certain ‘defence’ mechanisms; excuses are used that shield the addict from the reality of what he or she is doing. These excuses will then be used to rationalise their behaviour or to justify the need to carry on using regardless of the fact that they are destroying their lives and the lives of those around them. A very common excuse used by addicts is the one used by Lars von Trier. Many say they need drink or drugs in order to do their work properly. They will try to twist their addiction into something positive by saying that it helps them do their job better and justifying their addiction as being a ‘part of the job’. Many creative individuals, as in the case of von Trier, use this excuse. Another common excuse is one that most addicts tell themselves – “The only person I’m hurting is myself.” Whether they actually believe this or not themselves is unimportant. At the end of the day, an addict’s actions will ultimately destroy those around them. Parents, children, siblings, and friends will all be hurting when they see someone they love ruining their lives. Self-pity is another major motivator for an addict. Many are convinced that their addiction makes them feel better and helps them to get through the day. At Addiction Helpline, we are here to offer the advice and support needed by those struggling with addiction. Our experts are standing by to help and assess the needs of the individual and offer advice on treatment options. We are also available to offer help to families and friends of addicted love ones.